While I fully appreciate that few, if any of you, are going to withdraw £3,170 from the bank and head out to buy the Zeiss Otus 55mm f/1.4 lens, I hope this test has shown that there are occasions where differences in image quality are not proportional to price. There comes a point where differences are so slight that, even if you were considering spending £3,170 on the Zeiss Otus lens, you may stop to think about whether you actually need it, and whether the Sigma 50mm f/1.4 DG HSM Art lens is actually more than good enough. The Zeiss lens needs to be manually focused, and while this is a joy to do with the large focusing ring, it does take time, good eyesight and for absolute precision it will also require a camera with a good viewfinder or a 100% magnification live view screen. The Zeiss lens does resolve more detail than the Sigma 50mm f/1.4 lens at both the centre and the edges, but not enough to warrant the average enthusiast even contemplating buying it. In summary, the Zeiss Otus 55mm f/1.4 lens is superb. It really is a triumph of lens design. It is going to take a lot of hard work for any manufacturer to better it, and for this reason it has to be awarded five stars. However, whether or not you should buy one is another question, and one to which I think the answer is obvious. If you want to try the Zeiss Otus 55mm f/1.4, I would suggest that you rent it for a weekend from www.hireacamera.com – which very kindly lent us the lens we tested in this review. As for the Sigma 50mm f/1.4, it also is a triumph. Everyone in the WDC technical team has been impressed with the lens, and a few have already added it to their own wish lists. Sigma’s designers have managed to match the central image quality of the Zeiss lens, but at a quarter of the price. And for that reason it, too, scores five stars, and, like the Zeiss Otus, is worthy of an WDC Gold Award. Canon’s 50mm f/1.4 lens is something of a good all-rounder, with a reasonable performance when shooting wide open, although it does lack the bitingly sharp resolution of the two 50mm lenses on test here. When shooting between f/2.8 and f/11, there is little difference in sharpness between the centre of the image and the corners, although to get the most from the lens it is best to shoot at f/8. There is also some curvilinear distortion at the edges of the frame that will require straightening. A very good, reasonably priced lens for Canon users. 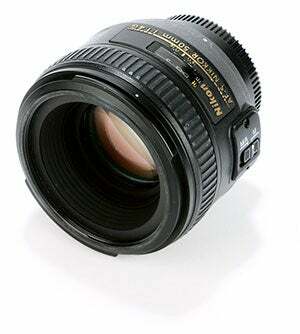 Nikon’s current Nikkor AF-S 50mm f/1.4G lens is around the same price as the Canon equivalent and performs roughly on a par. Curvilinear distortion is a little less, although vignetting is around 0.3EV worse in the corners. The latest optical lens coatings ensure that the Nikkor lens has a good level of contrast, and it is very good wide open. Once again, to get the best from the lens you need to be shooting at between f/8 and f/11. 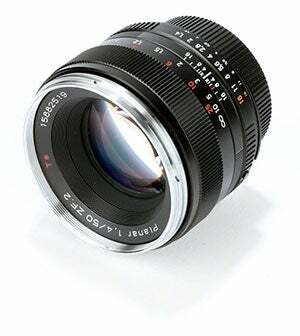 If you hanker after a Zeiss lens, but the Otus is out of reach, the Planar T* 50mm f/1.4 may be the answer. 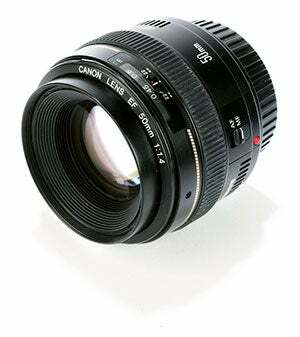 Available in Canon EF and Nikon F mounts, the lens has a solid metal construction and, like the Otus, is manual focus only. In terms of image quality, it is superb when shooting at f/8-11, but is let down by poor performance when shooting wide open. The lens also suffers from far more curvilinear distortion than both the lenses on test here.